When Janelle of Emmaline Bags asked me to guest-post on her blog with a round-up of woven bags from around the interwebs, I did what I always do when asked to do something: I said yes without thinking! Turns out, this was a really fun assignment. I'd say this was basically a "This is Your Life" experience for me but on Instagram ... (which *is* I guess, basically, my whole life). 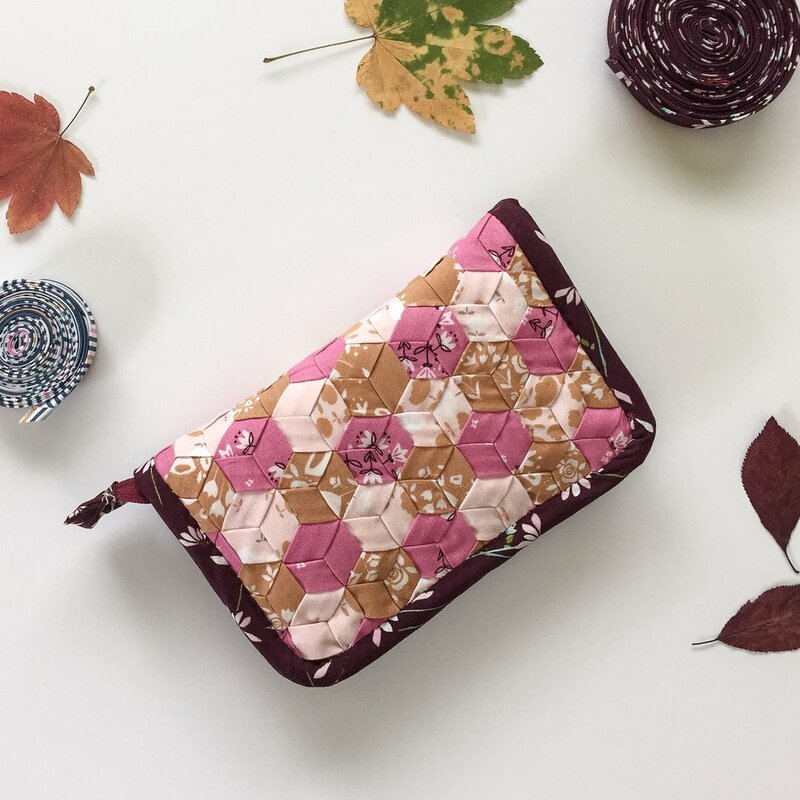 Weavers are usually quilters first, and we love personalizing our sewing organizers and bags with one-of-a-kind woven exteriors. Oh Zipped Case, Pattern by Oh How Sweet, made by Mathew Boudreaux aka Mister Domestic, with 1/2 inch strips of Robert Kaufman Fabrics, Kona Cotton, and the WEFTY needle. He wrote about this make on his blog. 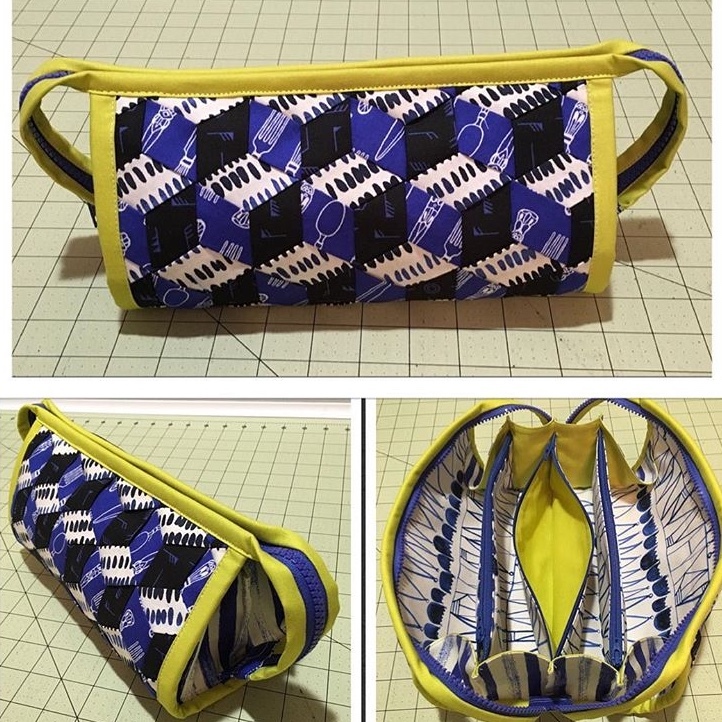 Oh Zipped Case, pattern by Oh How Sweet, made by Angela Purrenhage with Alison Glass fabrics and the WEFTY needle. Mathew also made the Roadtrip Case by Noodlehead with a woven exterior. 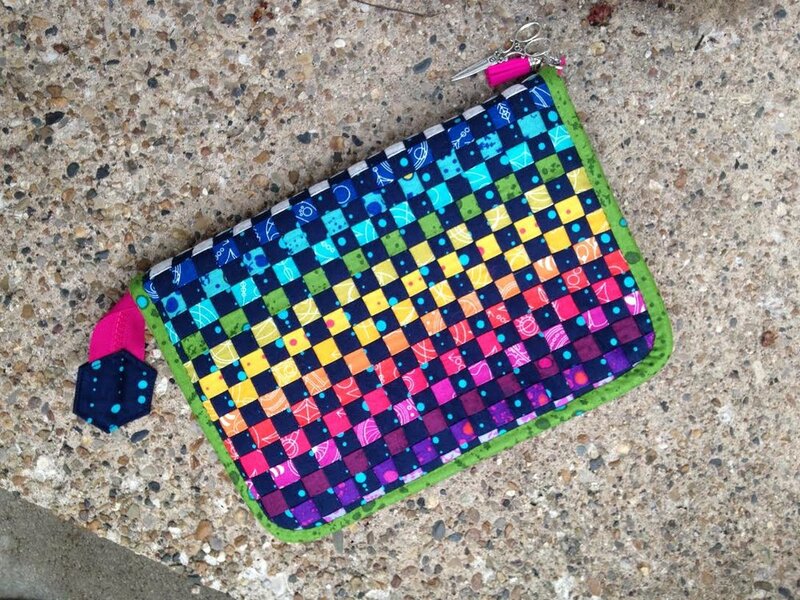 Roadtrip Case, Pattern by Noodlehead, made by Mathew Boudreaux aka Mister Domestic, with Lecien 1000 Colors and the WEFTY needle. He wrote about it on this blog. I made the Flora Supply Case by Clover and Violet for a blog tour and it's still just about the cutest thing I can't find since I moved. Flora Supply Case, small, pattern by Clover and Violet, using 1/2 inch strips of Playground by Amy Sinibaldi for Art Gallery Fabrics and the WEFTY Needle. I wrote about this make here. I don't know how they did it (seriously, those layers!!! ), but Kbcjohn and Bossmarecrafts both made Sew Together Bags with woven exteriors. Sew Together Bag, pattern by SewDemented, made by Kim Johnson (aka Kbcjohn). Sew Together Bag, pattern by Sew Demented, made by Amber of Boss Mare Crafts. 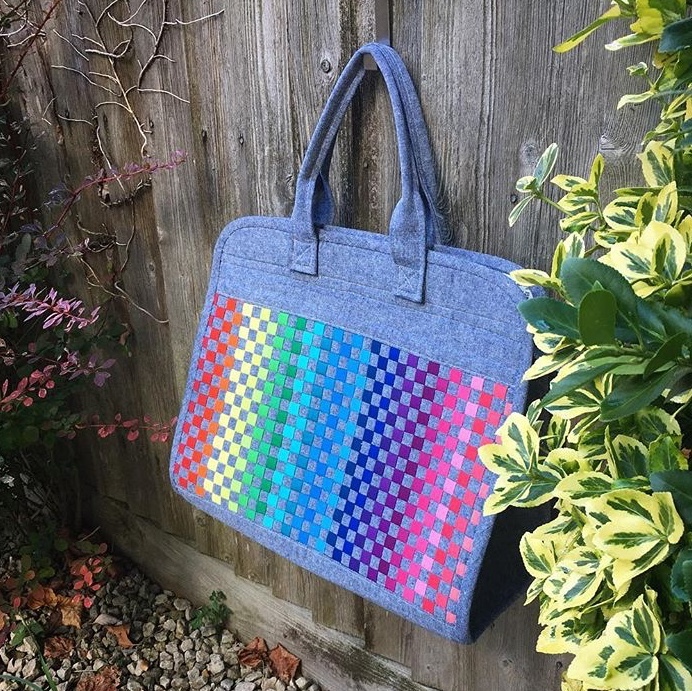 Last but not least, in what I can only imagine is an act of sheer sewing heroism, these makers turned woven panels into the exteriors of the Makers Tote, a pattern by Noodlehead. Makers Tote with Woven Stars by Mindy Lennon of Quilting Mayhem after a WEFTY Weaving class!